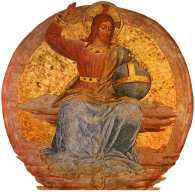 Glorious Mysteries of the Rosary :. Prayed on Sunday and Wednesday. 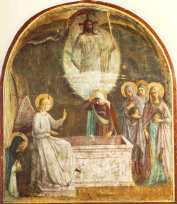 May also be prayed daily during the Octave of the Resurrection, as well as on feasts pertaining to the mysteries. Imagine the joy and glory of Christ's followers when, three days (forty hours) after his brutal execution, He triumphs over death, the great enemy! Bask in His radiance and in the joy of all His Church Triumphant. See how tenderly and lovingly He treats those who had abandoned Him. 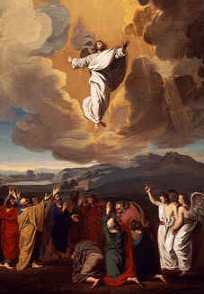 Imagine the bittersweet parting of Jesus from his disciples and Mother, when in the presence of Mary and His disciples,forty days after His glorious Resurrection, He ascends in to heaven. Reflect on His promise that He goes to prepare a place for us so that we may be with Him. 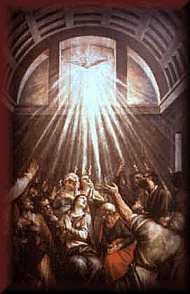 Imagine the culmination of the fasting and prayer of the Virgin Mary and the Apostles in the upper room, when a roaring wind and tongues of flame announced the descent of the very Holy Spirit into their souls. 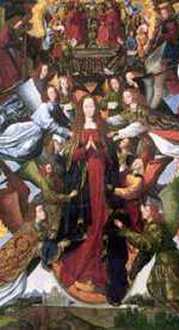 The Assumption Imagine the glorious Assumption of Mary into Heaven, body and soul. Think of the tumultuous rejoicing of the saints and angels to welcome the peerless flower of our race into the joy and glory of heaven. 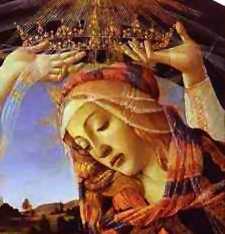 Imagine the rejoicing and splendor of the glorious crowning of Mary as Queen of Heaven and Earth by her Divine Son.